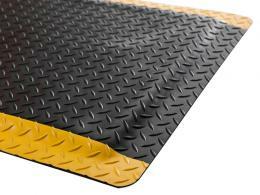 What Is the Purpose of the Anti-Fatigue Matting? 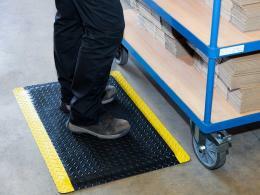 Utilising these anti fatigue mats throughout your work environment will reduce fatigue and prevent workplace injury. If you have a worksite where you work in one zone for long periods of time, your feet can be prone to injury and fatigue. Even with the correct footwear, long hours on a hard surface can wear on your body. 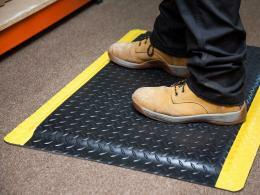 The Anti-Fatigue matting is designed as a no-frills, easy solution for your feet. This PVC-blown sponge material works as padding for your foot that prevents fatigue and won’t cause wear on your body. The 18mm thick padding is a cushion that is comfortable and affordable. 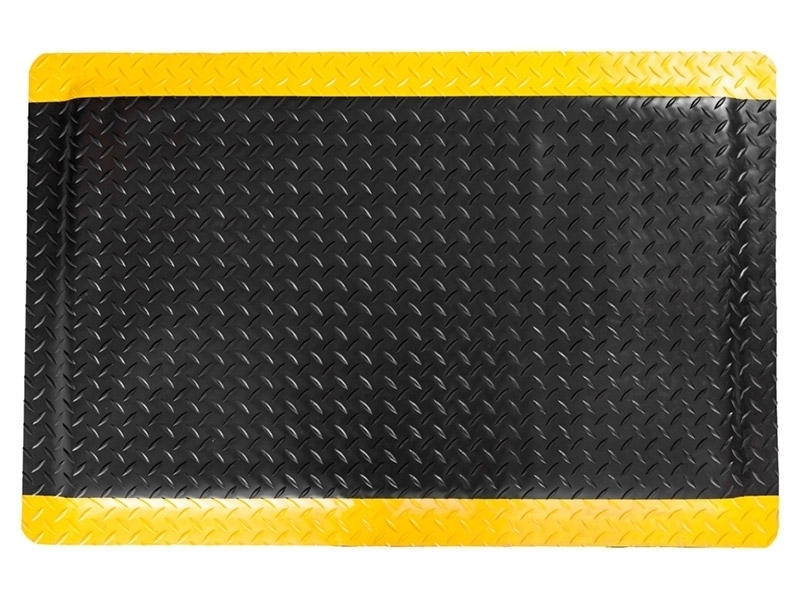 Each edge is bevelled and the two longer sides have high visibility yellow strips to provide you a safe soft step matting that is easy to get on and won’t curl up. 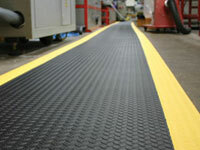 Where Can The Anti-Fatigue Matting Be Used? 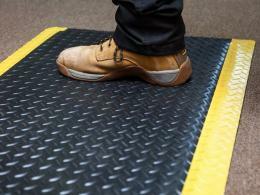 This matting is a way to protect workers’ feet that stand in one location all day. Supermarkets, hardware stores, packaging plants, and assembly lines are the ideal locations for this product. Who Might Use this Warehouse Matting? Cashiers at supermarkets, workers on an assembly line or airport check-in staff will appreciate the time and thought of getting this soft step matting. Bevelled edges and rounded corners to prevent tripping. Supplied as a 910x610mm mat.